This can be done while creating a new order. 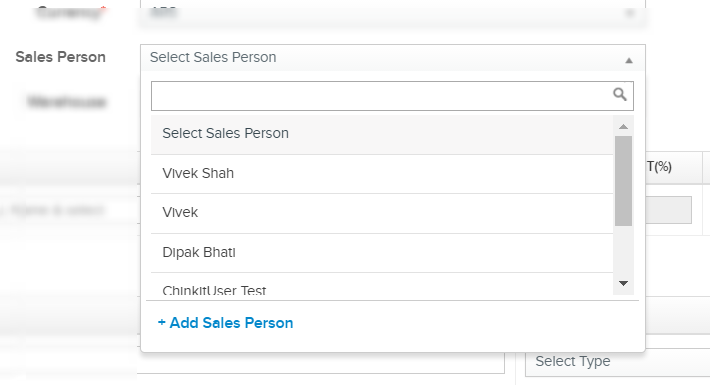 Also, you can also add a sales person once you have created an order by editing the one created. Go to Orders, click on Add Order. You will get an option to choose the salesperson. You can select one from the drop-down or you can add a new Sales Person by clicking on Add Sales Person button. 2. Go to the Order details page, and click on the Edit button present on the top right corner and you will be allowed to edit as well add the Sales Person. Note: You can only add the Sales Person for the orders that are created from Orderhive. Also, you can only edit the orders which are approved and the ones which are yet to be approved.